Do I Need an Annual Chimney Inspection? It sounds quite ridiculous to clean and inspect your chimney in the middle of summer when it is 90 degrees outside, right? The fact is, a chimney is a part of your roof and the summer months are the downtime for chimney sweeps in areas like Southern California. There is never a better time to do flashing repairs or chimney pan replacements than in the summer months when the risk of rain is minimal. If your fireplace is used in the winter months, it is a very good idea to do an annual chimney sweep and inspection once a year to ensure your family’s safety. We recommend having a certified chimney sweep do the inspection and cleaning.  This is also a great time to coordinate having your roofer do an annual roof tune-up on your roof. Your professional roofer and chimney sweep can coordinate any necessary repairs where the roof ties into the chimney, and together they can help in prolonging the life of both your chimney and roof. Check the damper to ensure it is working properly. Inspect the bricks, stucco or stone of the chimney and repair any cracks, including the mortar cap of the chimney. From our professional experience, this is a major cause of many roof leaks. 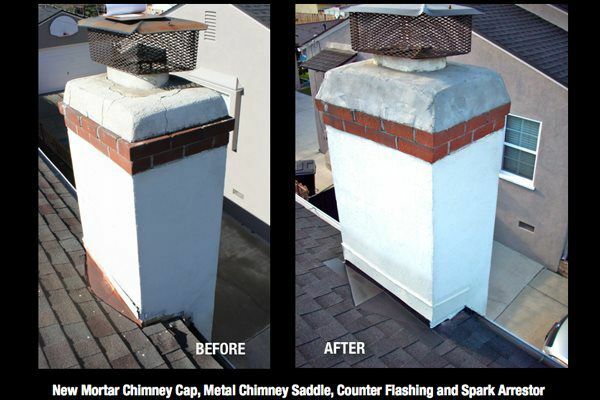 Inspect the chimney pan and spark arrestor and ensure they are sealed properly and are not rusted out. Inspect the roof to wall flashing and counter flashing around the base of chimney and clear any debris around the base of the chimney. It is our recommendation to have any roof to wall flashings or counter flashings repaired by a licensed roofing contractor, ensuring it is done properly. Ensure there is proper slope and drainage on the back side of your chimney. Consider having your licensed roofer install a chimney cricket or metal chimney saddle if it is determined there is not proper slope. The backside of your chimney becomes a damn for water running off your roof and is a common weak point of a roof if not flashed and waterproofed properly.